ZLYJ gearbox series are transmission devices, which are specially designed for single-screw extruder with high precision, hard gear surface, accompany with thrust. Adopting the technical specifications stipulated in JB/T9050. 1-1999, all ZLYJ gearboxes are designed accordingly. -ZLYJ series reduction gearbox is a transmission partthat possesses high precision hard gear surface andthrust block designed for plastic screw extruder. -The design of product adapts all kinds of norm specifiedin ZBJ19009-88/it features that gear and axis parts aremade of high strength alloy steel. -The gear is processes by carburization, quenchingand tooth grinding process. -The precision of gear is grade 6 specified in GB1009588. -The hardness of gear surface is HRC54~62. At front endof hollow input axis there is large specification thrust bearingthat will bear axial thrust force while the screw isworking. -the complete machine features compact, high in bearingcapacity, stable in transmission, low noise, high efficiency, etc. 1.ZLYJ series speed reducer is a transmission part that possesses high precision hard gear surface and thrust block designed for plastic screw extruder. 5.The hardness of gear surface is HRC54~62. At front end of hollow input axis there is large specification thrustbearing that will bear axial thrust force while the screw is working. 1. The input rotation of prime mover shall be ≤1500rpm . 2. The peripheral speed of gear drive shall be ≤20m/s. 3. The working ambient temperature shall be within -40~45°C.Preheat the lubrication oil to above 0°C . when the ambient temperature is below 0°C. Rotation is available both forwards and backwards. However, the high speed shaft of some types of reducers has a single way oil pump directing asdefaulted to the output shaft which rotates clockwise. 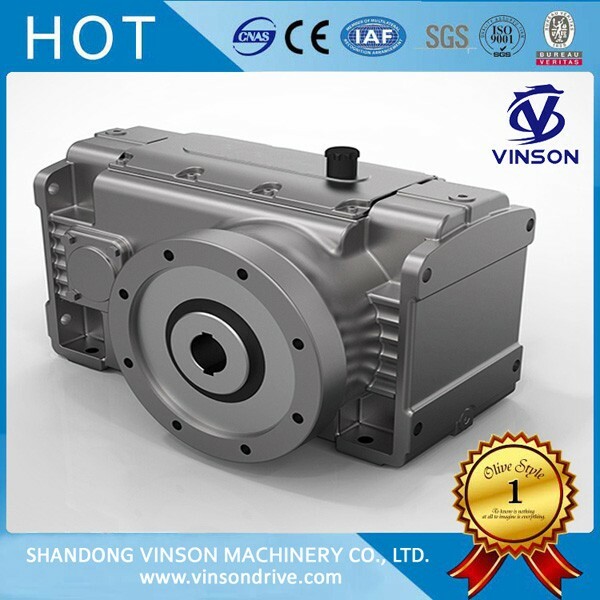 Copyright © Shandong Vinson Machinery CO., Ltd All rights reserved.